Almost all sustainability projects today feature recycling as part of their mission. When the term sustainability was coined in the United Nations’ Brundtland Commission of 1987, the underlying goal was to ensure that the earth’s resources are used without compromising the ability of future generations to cater for their needs. Recycling became a major part of managing the waste produced by the ever growing population and its demands for food, clean water, consumer products and housing, in a more sustainable way. Before venturing into how recycling plays a part in environmental sustainability, it is important to clearly explain the term recycling. Recycling is simply the process of using materials that have already been used. In many cases, recycling is referred to as processing rubbish into a new product. What would otherwise be waste, can either be converted into raw material for making new products or get transformed directly into a new product. One of the main benefits of recycling is reusing materials so that you do not need to harvest more natural resources from the environment, or at least slowing down the rate at which natural resources need to be used. 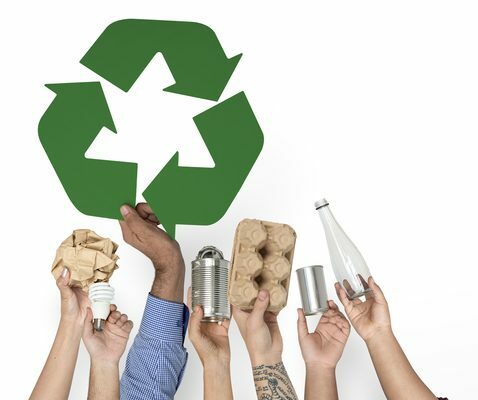 Though the idea of recycling was initially targeted at reducing the need to regularly extract more resources from the environment, it offers more than that alone. Today, recycling is used as a method of keeping the environment clean for people and wildlife, reducing waste sent to landfills, reducing energy usage and minimising the environmental impact of producing new products by incorporating existing materials that can be reused and repurposed. Recycling has also become an important facet in technology development as new systems are discovered to help recycle almost everything including metal, plastic, and water among other materials. The ability to recycle waste helps to define cities, communities, and countries. A city with a well designed and effective recycling system is held in higher regard than one that pollutes its surroundings. While the concept of recycling is well understood, it is important to note that waste remains a serious issue in many places, including Australia. Starting from April 2018, some Australia urban authorities such as Ipswitch had to turn to dumping waste in landfills after China stopped importing industry waste. This problem is likely to replay out across the entirety of Australia because there is not the capacity to handle in excess of 600,000 tonnes of industrial waste, which used to be exported to the far east. Australia is amongst the nations that generate the highest quantities of waste per capita. Annually, every Australian family generates about 400 kilograms of waste materials. Waste that is not recycled in Australia is packed in landfills. The landfills have become major contributors to global warming by releasing carbon dioxide. Plastic bags form a big proportion of solid waste in Australia. It is estimated that approximately 4 billion plastic bags are used in Australia annually. It is not just Australia that is experiencing difficulties in recycling waste. According to the World Bank report on Solid Waste Management, waste generation is rising steadily and making the process of waste management complex and expensive. Other countries with waste management problems issues include China, Argentina, Morocco, Kenya and Brazil to mention but a few. As the concept and need for recycling becomes accepted by most, it is important to continue emphasising how it affects sustainability. For example, recycling wood materials means that you do not need to cut more trees. It also helps to protect watersheds, biodiversity as well as maintain soil stability. In the case of non-renewable resources, sustainability goes beyond the notion of resources depletion. Instead, recycling non-renewable resources help to keep the environment clean, promote better human health, and enhance biodiversity resilience. Recycling is central to sustainability because it helps save materials that can be reused from ending up in landfills. It helps reduce the pollution of ecosystems, so for example, when plastic and metallic materials are recycled, the land that may have been used and contaminated by their landfill can be utilised for other more sustainable purposes. For example, recycling aluminum items is crucial to saving the rainforests that are often cleared to mine bauxite. It also helps to cut the costs involved in processing aluminum. For the concept of recycling and its impact on sustainability to deliver better results, everyone must be involved. It is important that people appreciate the benefits of recycling waste and contribute to the recycling process. To help, consider how to reduce the volume of waste you generate, and reuse materials whenever possible. Appropriate policies need to be passed at the governmental level to make recycling cheap and dumping waste expensive. People committed to recycling materials should also be rewarded. Always remember; no matter how small the effort you make towards recycling, it all helps towards creating a sustainable society. ← What is the Circular Economy?